Though he died in 1961, Carl Jung has some important and powerful words to say about our war with Al Qaeda. He focused his life on discovering hidden patterns that manifest themselves in our actions. His writings about the Soviets are painfully relevant to today's battle against the new global enemy. The essence of his teaching is that enemies like Al Qaeda infuriate us for one powerful reason: they represent the very essence of our own dark side, our own shadow. There is something about their raw brutality that reminds us of our own brutal desires: the need to demonstrate our superiority, convert others to our belief systems, display our religious piety, and so forth. Except, while they flaunt their violence, we hide our aggression behind UN resolutions and ideologies like "preemptive war." While they make no qualms of living by outdated and medieval religious codes, we attempt to veil our religious prejudices like homophobia in claims of "slippery slopes" and "protecting the children." 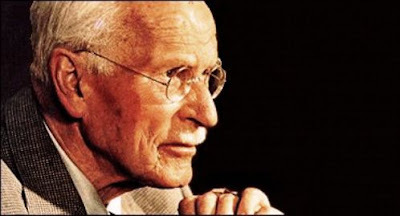 Neither Jung nor I mean to say that there is no difference between us and them, whoever the them may be. What we do mean to say is that the actual difference is rather unlike the difference we typically tend to imagine. They represent the authentic expression of our own most violent and decadent impulses. While we torture ourselves in justifications and attempts in restraining the animal within, they revel in their own animal psychology. It is this fact, being confronted with the smiling face of our own ugly shadow, that makes us fight even more so to exterminate the enemy. As if by destroying them, we will destroy our own uncivilized, primitive, and tribal instincts. If, for a moment, we regard mankind as one individual, we see that the human race is like a person carried away by unconscious powers; and the human race also likes to keep certain problems tucked away in separate drawers. But this is why we should give a great deal of consideration to what we are doing, for mankind is now threatened by self-created and deadly dangers that are growing beyond our control. Our world is, so to speak, dissociated like a neurotic, torn between the Western and Muslim worlds. Western man, becoming aware of the aggressive will to power of the Muslims, sees himself forced to take extraordinary measures of defense, at the same time as he prides himself on his virtue and good intentions. What he fails to see is that it is his own vices, which he has covered up by good international manners, that are thrown back in his face by the Muslim world, shamelessly and methodically. What the West has tolerated, but secretly and with a slight sense of shame (the diplomatic lie, systematic deception, veiled threats), comes back into the open and in full measure from the Muslims and ties us up in neurotic knots. It is the face of his own evil shadow that grins at Western man from the other side of the world. It is this state of affairs that explains the peculiar feeling of helplessness of so many people in Western societies. They have begun to realize that the difficulties confronting us are moral problems, and that the attempts to answer them by a policy of military intervention are achieving little, for they cut both ways. Many of us now understand that moral and mental means would be more efficient, since they could provide us with psychic immunity against the ever-increasing infection. But all such attempts have proved singularly ineffective and will continue to do so as long as we try to convince ourselves and the world that it is only they (i.e., our opponents) who are wrong. It would be much more to the point for us to make a serious attempt to recognize our own shadow and its nefarious doings. If we could see our shadow (the dark side of our nature), we should be immune to any moral and mental infection and insinuation. As matters now stand, we lay ourselves open to every infection, because Western civilization acts influenced by the same mythology as the Muslim world. Only we have the additional disadvantage that we neither see nor want to understand what we ourselves are doing, under the cover of good manners. Unconsciously, we cherish the same prejudices, hopes, and expectations. We too believe in the powerful welfare state, the silencing of others with different viewpoints, the supremacy of our way of life, and (do not say it too loudly) in the Kingdom of God on Earth.